People with celiac disease avoid far more foods than people on the low-FODMAP diet. Celiacs have to stay away from the gluten protein which is found in a wide variety of foods and ingredients. Celiacs need to avoid gluten because the protein can cause serious intestinal damage and could mean a trip to the hospital- exposure to gluten results in inflammation of the small intestine when any gluten is ingested. Cross-contamination is also a big deal and it’s harder for celiacs to eat out but thankfully gluten-free products made at 100% gluten-free facilities are more widely available. *Also note that I have IBS as well as the auto-immune disease, Hashimoto’s disease. People like me have been told to also avoid gluten as many people that have Hashimoto’s and hypothyroidism also have gluten-sensitivity. The book Grain Brain by Dr. Perlmutter says that whole grains “can cause dementia, ADHD, anxiety, chronic headaches, depression” and by avoiding these wheat-based carbs and grains (that have gluten) he says more people might be able to avoid these problems that affect the brain, also including, but not limited to Parkinson’s and Alzheimers. Do your research to learn more about grains and how they may affect your digestive and brain health. Wheat has been said to be the largest source of fructans in food here in the U.S. I believe it as I can name so many of these foods in a heartbeat! The middle aisles of your grocery stores are filled with wheat products as well as highly processed foods and soy…I am very passionate about those topics and could go on forever but let’s stick to today’s topic. An example of a food that contains gluten but is low in FODMAPs is spelt bread – it is suitable on the diet in low servings. Oats are often times cross contaminated with gluten. They can be in a celiac’s diet if they are selected from sources that guarantee a lack of contamination by wheat, rye or barley. 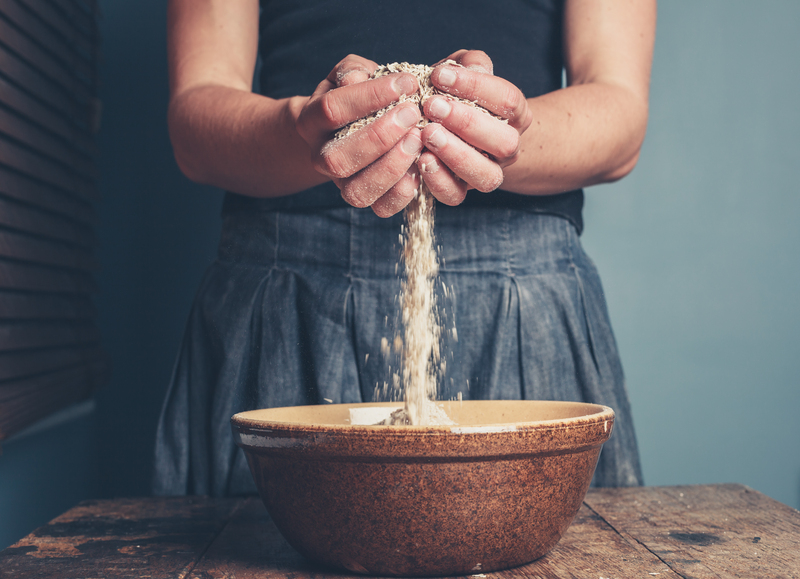 For celiacs, gluten can be found in ingredients like barley malt, malt vinegar, wheat starch, wheat thickeners and more. Gluten is found in some salad dressings, soy sauce, mustard (like wheat flour), mayonnaise, candy (like wheat flour), yogurt, spice mixes and seasonings. So these food items are dangerous for celiacs but they are not high in fructans and are suitable to include in a low-FODMAP diet. If you have any questions please comment below! Check out my Books/Resources tab for the books I personally use. Check out Instagram where I post photos almost daily, mostly of food, products and recipes! Tweet with us on Twitter! 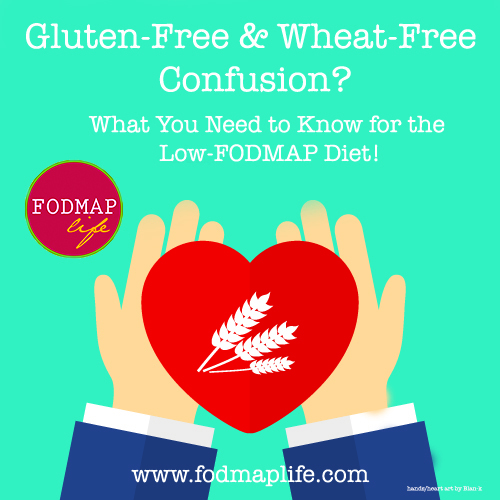 Gluten-free does not always mean FODMAP free and Gluten is not a FODMAP! You’ll find gluten-free foods that work well on a low-FODMAP diet, but not all of them are FODMAP free! 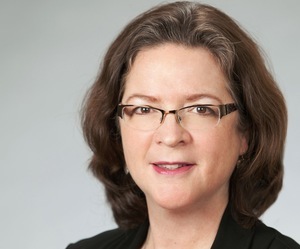 According to Registered Dietitian Patsy Catsos, “Sometimes people have bad reactions to one of the many proteins in wheat. Examples? Gluten is the wheat protein that causes the symptoms of celiac disease. Celiac disease can cause gas, bloating, abdominal pain, constipation or diarrhea, but symptoms aren’t necessarily limited to the gastrointestinal (GI) tract. “Wheat, barley and rye also contain certain carbohydrates, fructans, which can cause IBS symptoms for some people. Fructans are a type of dietary fiber, one of the FODMAP carbohydrates. Because the US diet revolves around wheat, it’s by far the biggest food source of fructans for Americans. It’s not hard to see how much overlap there is between a gluten-free diet and a lower-FODMAP diet. “If you have celiac disease and already eat gluten-free, but still suffer from gastrointestinal complaints, FODMAPs may be to blame. Especially early in your diagnosis, before intestinal healing is complete on your gluten-free diet, you may be prone to poor absorption of lactose, fructose and sorbitol. Once you have been gluten-free for a long time, your ability to tolerate foods containing these carbohydrates may improve a good deal. As an example, if you are trying out the Low Fodmap Diet and want to buy some gluten free bread – just make sure it doesn’t have FODMAPs ingredients like these: honey, agave, chicory root extract (inulin), soybean or other bean flours (like garbanzo), apple or pear juice concentrate, dates, figs. What else? Check out our list of FOODS TO AVOID to understand where else you may find wheat, and learn about the foods you CAN eat from our GROCERY LIST. Love Us, Follow Us and Subscribe!